It is better to slow down development than to scrap race-based policies and risk ethnic clashes in the country, Tun Dr Mahathir has said. The former prime minister, in making the case for the continuation of such policies, wrote in a blog posting here that taking away racial consideration when doing business would not necessarily guarantee development. Writing once in an earlier blog posting in 2010, Dr Mahathir had said: “I may be labelled a racist but fear of the label will not stop me from working for what I think is good for the country. The country’s longest-serving former prime minister, who still wields influence in the ruling Umno, continued to stress this point in his latest posting. “It is true that if the problem of race does not haunt Malaysia, development would speed up. “But when the distribution of wealth is so wide between the races, there is a large possibility hostilities would occur between the rich and the poor,” he said. As much as we highly respect the 86 years old politician for “some” of the good things that he have done for the country, certainly after 55 years of Independence when people from different racial background and culture called themselves as Malaysians, it is high time we revisit the need for racial based policies. Race based policies have never been good to anyone – still remember Germany’s Aryan misadventures by the Nazis, South Africa’s Apartheid and once upon time, the white-black segregation in the deep south of America? Dr M may have valid points – after all it will not be easy to scrap race based policies overnight – not when we have been governed by it for almost 43 years. But that does not mean we should harp on the very unfair policies for another 43 years. It has to go away one day and the sooner we do it, it is better in the long run (and we seem to have the first step of breaking down race based policies in 2008 by voting for more multi-race based political parties and sent at least one known race based political party into the wilderness). And in making his case for race based policies, Dr M embarks on 2 arguments. One – it will risk ethnic clashes and Two – all Bumis are poor and all non-Bumis are rich. Sounds familiar? It is the same old argument (or variations of it) heaped on fellow Malaysians by the same race based political party politicians to keep themselves in power. Even if we were to take the 86 years old man’s words as the gospel truth, the question is what does we intend to do about it? After all, here is an ex-PM telling others that he rather throws national development down the drain for an unspecific period than to scrap race based policies that many have deemed unfair, flawed and open for abuse. The 2 arguments put forward by Dr M may be flawed as well. Flawed because firstly it is not taking into consideration of changes that have happened locally and globally in recent times. It is no longer 1969 all over again. America for example has a President who in 1930s – 1960s would have been asked, sorry, told to buzz off from white only areas. The Apartheid in South Africa has long gone and buried and in Malaysia, we are no longer seeing prevailing race based industries or sectors – there is still perhaps in sub-sectors but it is not too obvious in main sectors. These days, generally you can find all races in all sectors – something that did not happen back in a prevailing basis in 1960s. And there seems to be an even more effort put forward by Najib’s administration to liberate economy sectors. So at the point of such liberation taking place, not only in Malaysia and in the economic sector, one need to take a couple steps back and wonder if harping on race based policies is wise. Secondly, it must be affirmed that poverty is a global issue and affects all races – both Bumis and Non Bumis. You will find both the rich and the poor at both sides of the spectrum. It is a fact that must be taken into consideration if one is to keep saying that race based policies is best for the country. If we were do that, then unfairness creeps in – you may end up leaving a section of society who are poor but at the same time is unable to find the needed relief under the provisions made by their Government. Think about it for a second. National policies that work on eradication of poverty should never be made on the basis of the colour of the skin or ethnic background but rather must always be based on class of personal wealth. It is fair thing to do anyway. If we are to take the race based policies by it’s’ horn, will it at end of the day risk ethnic clashes? To answer this, we should look back at the basis of Dr M’s contention that it will – the so-called 1969 ethnic riots – an incident from which saw the birth of race based policies such as New Economy Policy. The DAP has blasted the Najib administration for awarding a lucrative RM7 billion highway deal, to be tolled for a record 60 years, to a company known principally for making and selling granular and powder-activated carbon. In comparison Petronas has paid RM 3,307 psf of pedestrian walkway – almost SIX times the psf price of a six star condominium in Mont Kiara. I don’t think it is paved with 916 gold either. And there are no Jacuzzis provided in case the ever increasing number of KL’s vagrants who do populate some of the other walkways at nite, want to take a bath or have a water massage. Petronas paid RM100.0 million or RM3,307 psf for a 30,285 sq. ft. pedestrian walkway. If you ask me, this type of costing is worse than the lembu condo. Someone had a very early Christmas. And despite Government and the Government linked companies blowing millions of the national wealth instead of pumping it for the benefit of Malaysians living in poverty and to make the industries, workforce and individual income more resilient, comes along an ex-PM defending the race based policies that will only perpetuates abuse and unfairness. It is only a mystery as to how scrapping of race based policies and speed up the effort on corruption and abuse will risk ethnic clashes – especially when the very fight against corruption and abuse is to return wealth back to those who in need the most – poor Malaysians who the bulk comprised of Bumis. This is why, despite the misgiving that Pakatan Rakyat seems to be projecting, we should give it a run for the Government – at least to stop the leakages in national wealth and abuse of tax-payers money. The new Government should scrap all race based policies and promote more equitable based policies that will address any shortcomings, any imbalances in wealth and power and that is what as recent as 2012, Pakatan Rakyat strives to achieve in the long run. Not promoting fear of ethnic clashes and further abuse of power and national wealth. And yes, for the time being, we need to ignore the 80 plus year old politician – age may be catching up with him but then again, at the same time, we should not lose focus of continuing to scrap the existing race based policies (and the aged, senile politicians that is tied to it). It has been in the system for far too long and it is not helping the country in the long run. 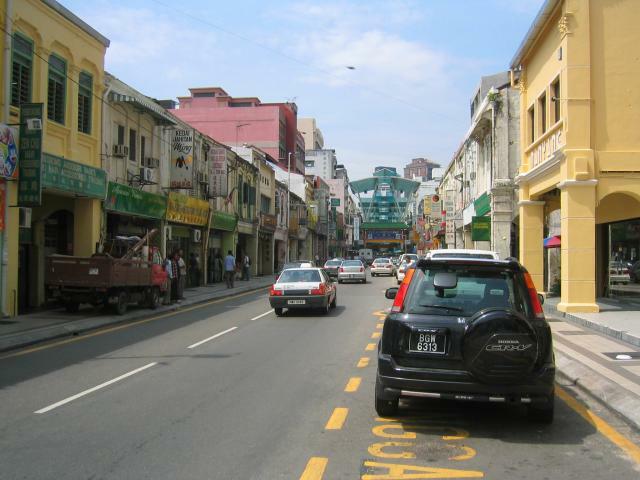 About 30 buildings in Chinatown need not make way for development of the Klang Valley Mass Rapid Transit (MRT) project. However, they will have to be vacated for about six months to facilitate underground work. MCA president Datuk Seri Dr Chua Soi Lek announced the news at a press conference today at the Land Public Transport Commission (SPAD) headquarters after a meeting with its chairman Tan Sri Syed Hamid Albar, its CEO Mohd Nur Ismal Kamal, representatives from Syarikat Prasarana Negara Bhd and members of the Jalan Sultan building owners ad-hoc committee. But just the other evening a friend told me, “Hiyah! No need to shout so much la. It’s just a show only. It’s part of Umno/BN strategy to regain some Chinese votes ma.” Huh? How? Simple what. You just wait a few weeks and see. This is how it will happen. The government had previously insisted on acquiring all the buildings as the Land Acquisition Act stipulates that property must be acquired before any construction work can begin, even for underground railway development as under the law, ownership of a building includes the land below. However, Bukit Bintang MP Fong Kui Lun mooted the idea that the government acquire only the land beneath the buildings and provide the owners with stratum titles to allow the MRT to run below without acquiring the land above. By the way, MP Fong Kui Lun is from Pakatan Rakyat. Wonder who will end up getting the credit of saving one of the key heritage areas in the city?